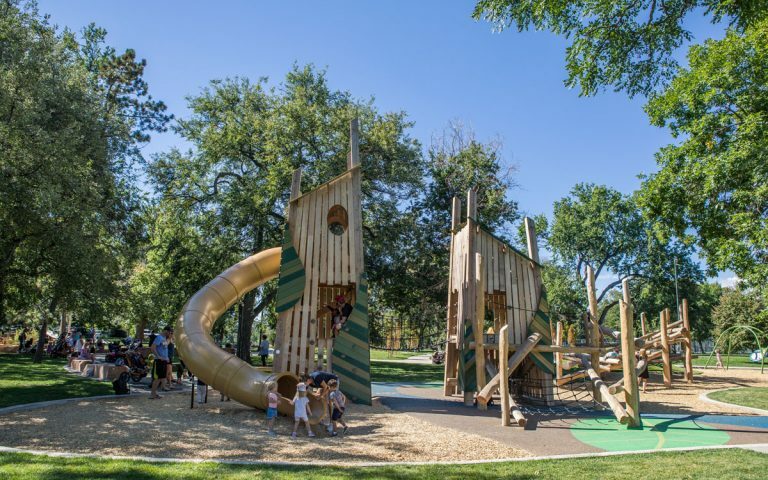 Washington Park has long been a treasured urban green space south of downtown Denver that is sometimes compared to Central Park in New York City. 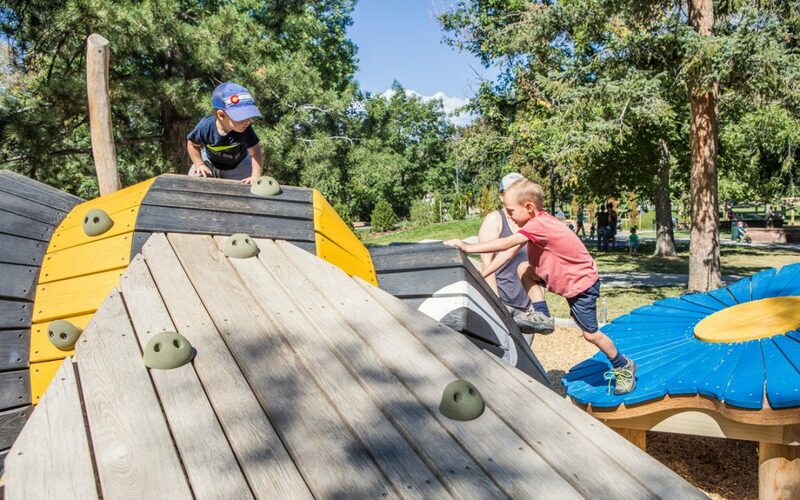 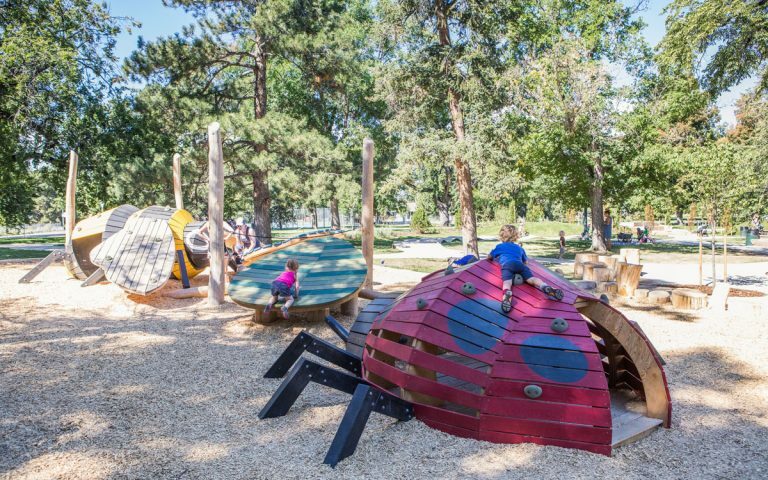 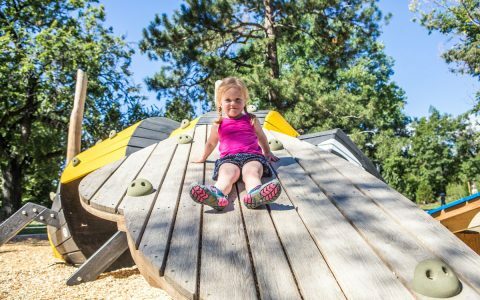 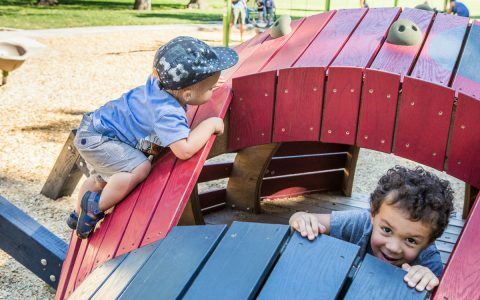 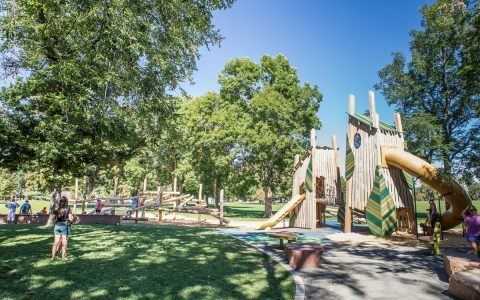 Situated between two lakes and along busy bike trail paths, the destination playground offers adventurous and inspiring natural play. 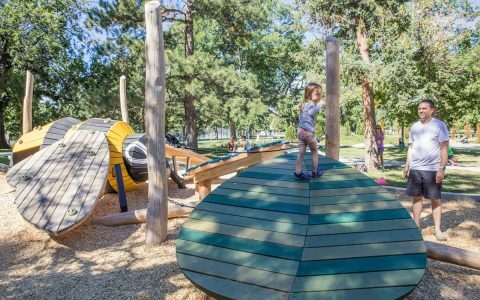 Collaboratively designed with Stream Design, the spacious playground includes one area for older children and another for younger explorers. A pair of tree house forts connected by a rope bridge encourage children to imagine they are climbing through a forest or along a high-ropes course. 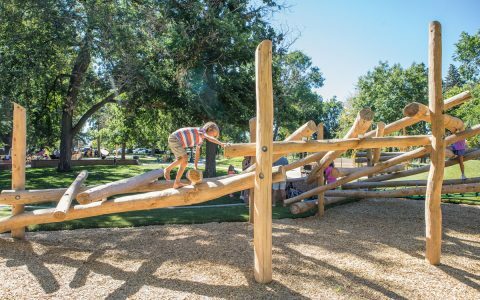 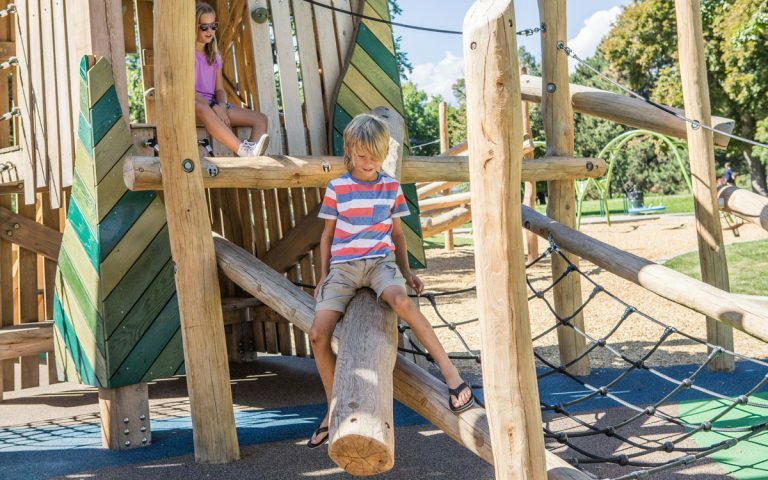 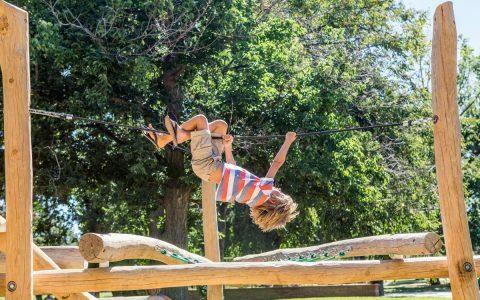 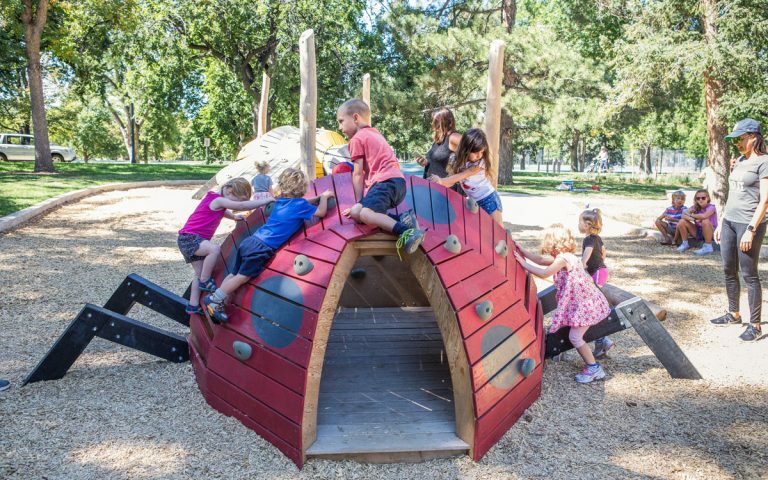 Nearby, a large log jam™ offers endless routes of play and varying heights and navigation tools where children and adults can test their balance and bravery at heights up to nine feet! The log jam™ is also popular with parkour enthusiasts who love the variety and variability of the log angles. 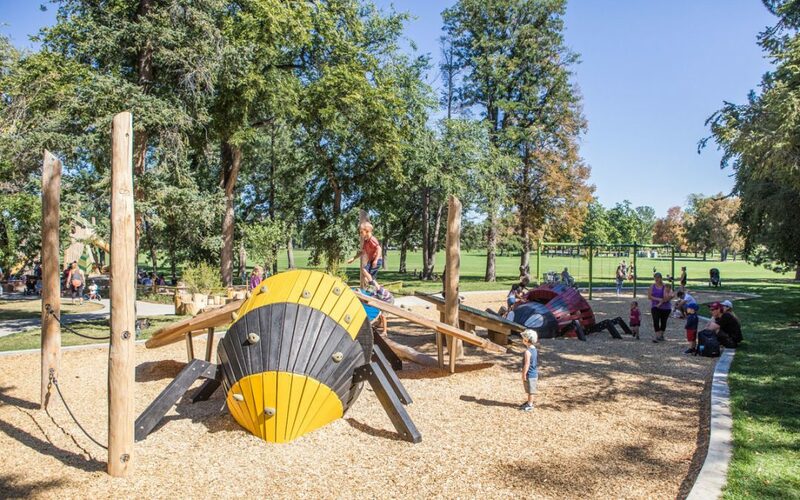 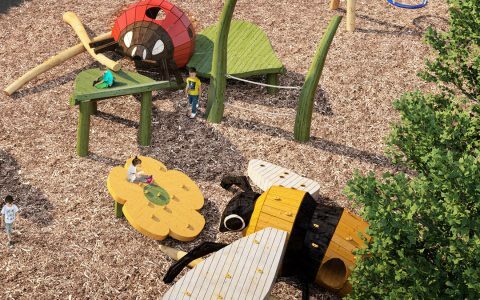 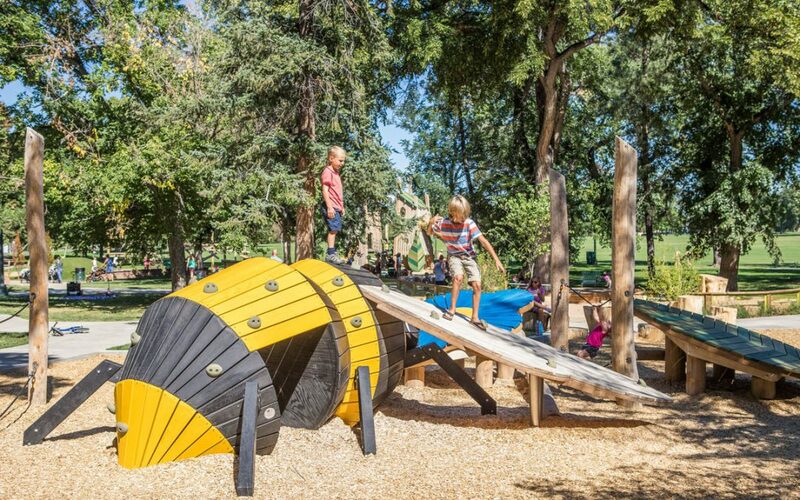 The junior play zone features larger-than-life ladybug and bumblebee playable sculptures found among leaves and blades of grass. 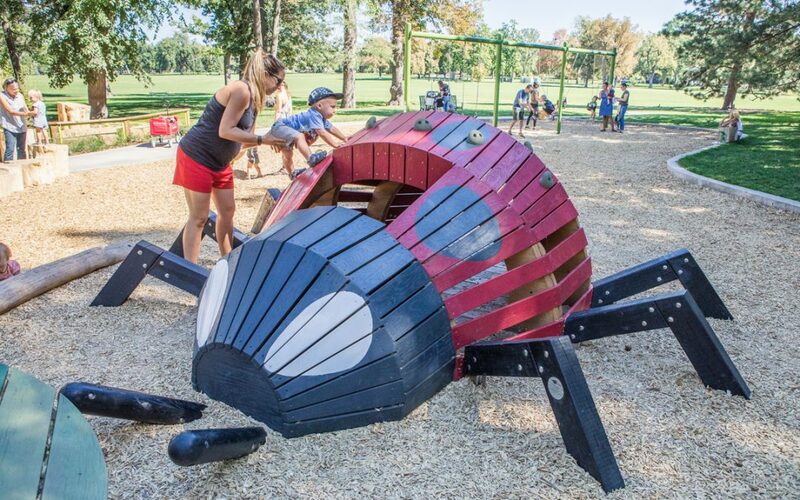 Kids can crawl over, around and through the ladybug sculpture and get inside the body tunnel of the bumblebee. 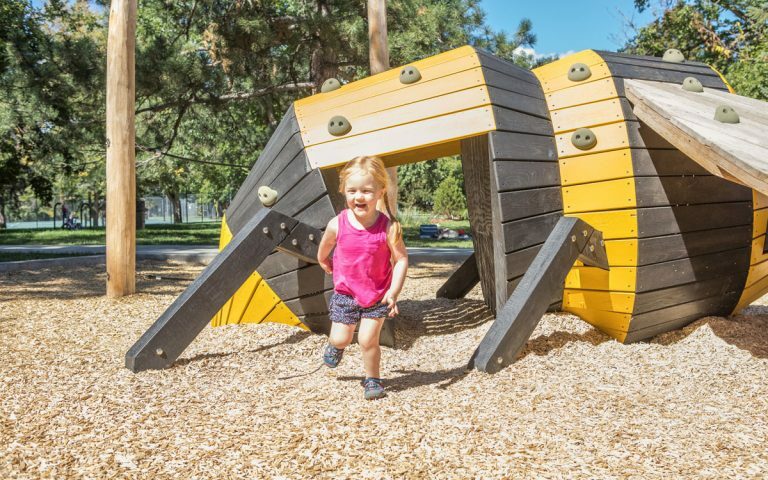 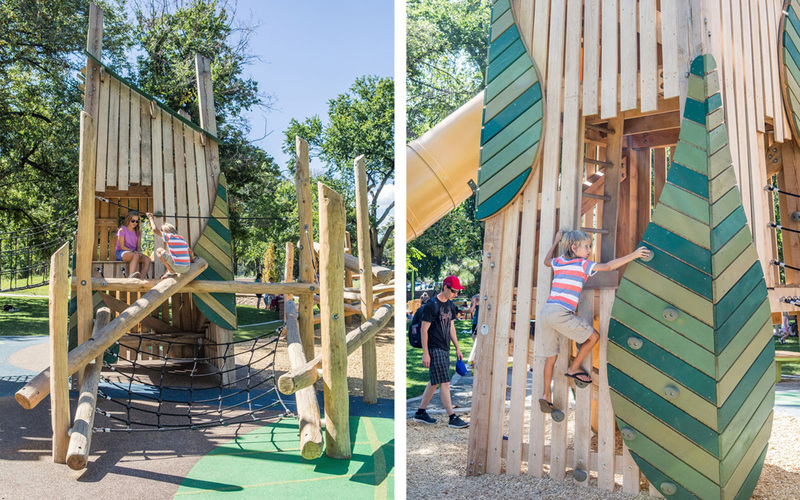 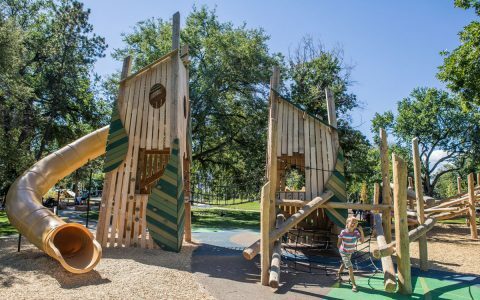 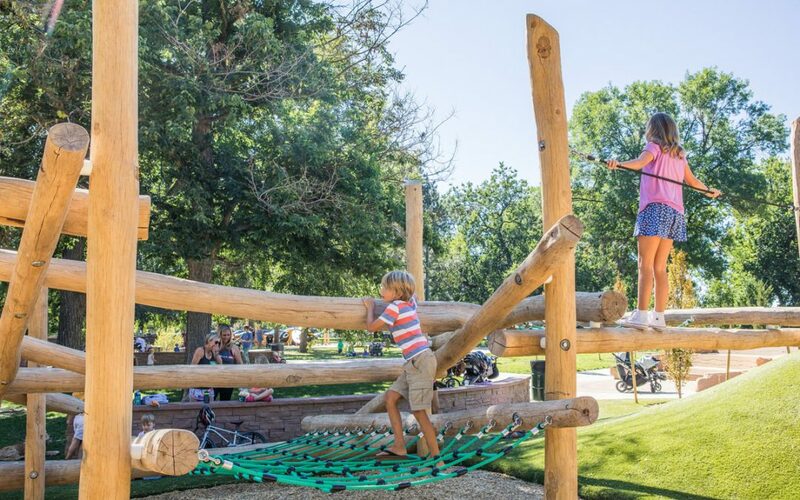 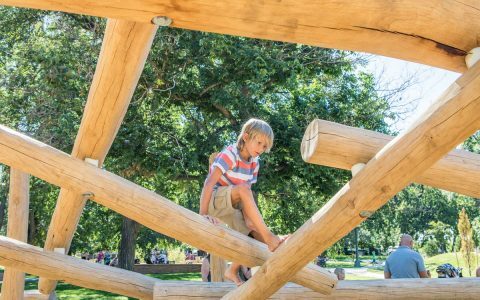 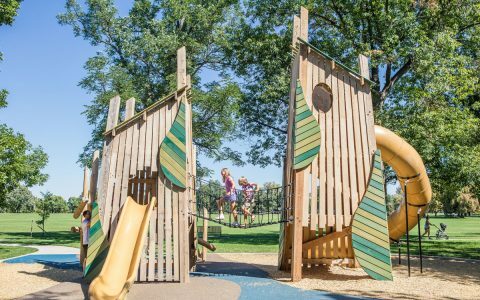 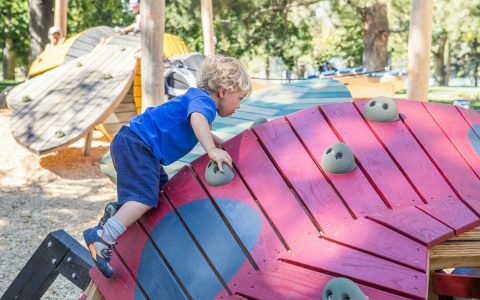 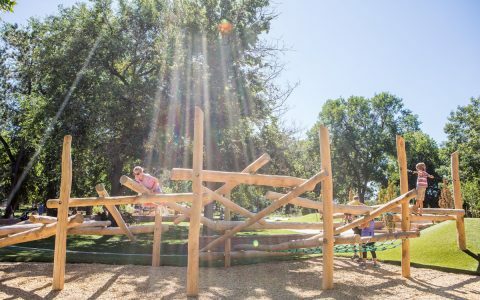 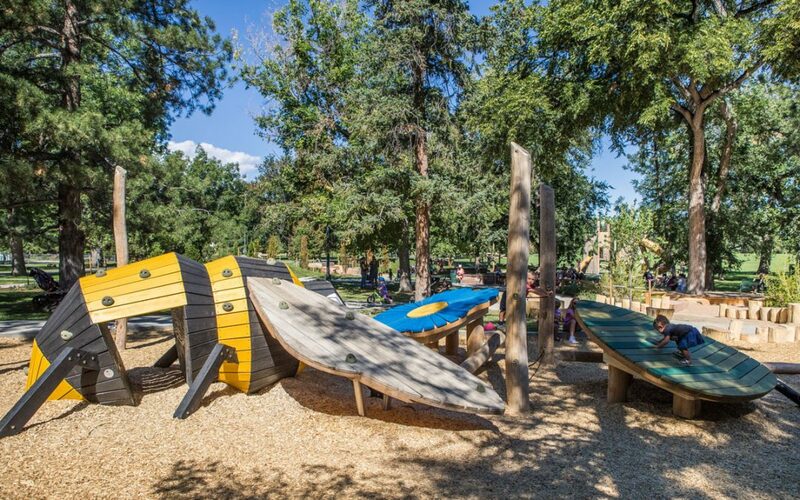 The sculptures are connected by stump steppers, post-and-rope balancing logs, and tilted flower and leaf decks that create multiple circulation paths around and through the junior play zone.